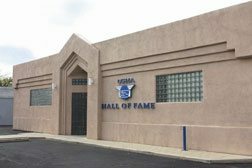 The U. S. Handball Association established its hall of fame in 1954. There are two categories of inductees: players and contributors. To be inducted, a player must be over 40 years of age and retired from serious competition for at least five years. Contributors are honored for outstanding service to the game on the national level.